Before the days of email and social media, Townsend Bertram & Company communicated through old fashioned snail mail in the form of hand drawn postcards about our upcoming sales and events. Each season, a creative staff member designed the TB&C postcard. Despite the effectiveness of social media and email, we still value snail mail as an art form that transcends the power of technology in building connections and community. I’ve always had a special love for postcards, the combination of words and images that capture a person and a place in a 4x6 space. A postcard means so much more than another post on Instagram where an average of 95 million photos and videos are shared per day*. Postcards reflect our own core values at TB&C as people collect them on adventures, write them with passion, and send them to people in their community. We have a collage of postcards sent to TB&C over the years documenting staff and customers’ adventures to nearby and faraway places. These postcards represent the personality of both the person who sent it and the place visited. Most importantly, they capture why we do what we do: to inspire adventure, create connection, and celebrate the wild places. How do you feel when you get a postcard from someone you love? Do you feel transported to the place pictured on the front? Does the connection to the sender brighten your day? 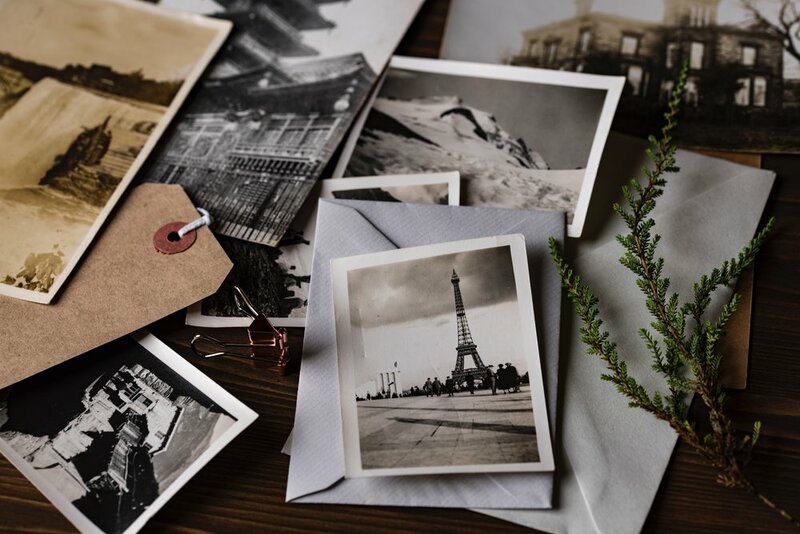 Perhaps that postcard ends up on your fridge, a reminder to explore and connect, to take time to share the beautiful places you see and exciting things you do with people you love. My father and co-founder of TB&C is often cited with keeping the US postal service in business as he sent more handwritten letters than anyone I know. In honor of our 30th anniversary and my father’s life, we are bringing the postcard back! And we want you to design it! We will be choosing 3 designs that reflect our 3 core values: adventure, community and passion. Hand drawings or photographs welcomed. We ask that the work be original. Each winner will be gifted a $50 gift card to TB&C and will be given design credit on the postcard. Submit your designs to tbcbetsy@gmail.com by April 15th to be entered into the contest. You can submit up to 6 designs. Please share this contest with your community.